Diesel engines are more fuel efficient than gasoline engines of a similar size, however, there are simple ways to get even more miles per gallon. Oil is a non-renewable resource and using it wisely saves money. Using the proper automotive and commercial oil products keep diesel engines running smoothly and improves the miles per gallon. Regular maintenance ensures your truck’s engine is operating properly and checking filters, fluids, and transmission keeps the engine performing efficiently. Oil changes will prevent loss of power caused by old oil and finding an automotive oil distributor helps to make sure you have the right oil. Switching to synthetic lubricants will also improve your miles per gallon and is carried by automotive oil wholesalers. Boost gauges may not seem important to improving diesel fuel economy, but they help to catch small issues when you check your boost regularly. Boost is important to turbocharged diesel engines and is directly related to how much power your truck gets. Drops in boost usually point to issues which you catch with a boost gauge and can fix these problems before they affect your truck’s fuel economy. Diesel engines also have more torque than gasoline engines and driving them the same way will use more miles per gallon. By keeping your RPMs down, you can improve both the power and fuel usage. Only give it the amount of throttle needed to reach the desired speed and get in overdrive quickly to allow the torque to move the load. The low-end torque is better for fuel economy than higher RPM horsepower. Improving the airflow also reduces the miles per gallon. Having work done on both the fresh air intake and exhaust sides allows the engine to breathe, improving fuel economy. Spending money improving the airflow will pay off from the fuel it saves. 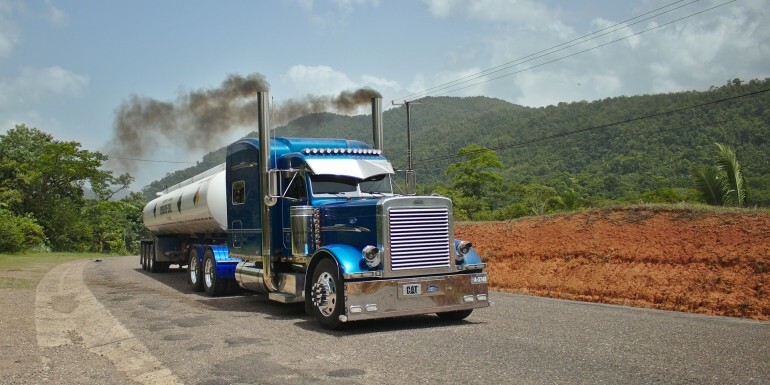 Diesel trucks with catalytic converters usually have better performance when it is removed. Diesel engines which are better lubricated perform better and use less gas, so it’s important to have an automotive or commercial oil distributor. With these tips, you can get the most out of your diesel engine.